Full steam ahead at ‘Leave it with me’ Social Media. I’ve kept the quote up on my pinboard ‘ Don’t confuse your path with your destination. Just because it’s stormy now, doesn’t mean you aren’t headed for sunshine. Not that I can be sure I am at my destination professionally, but who can till the end? In the business sense though I can feel the sunshine on my back again. Four years ago I had a business idea born from my own experience in losing a loved one and the red tape that follows. I researched the market extensively, I re-educated myself and I didn’t just launch into it, I spent about a year setting up my business and gaining some confidence after 10 years as a stay at home mum. I was implementing documentation for seniors when they move into aged care, documentation following a partner passing away or elderly people struggling to keep on top of everyday form filing such as insurances and centrelink paperwork. Everyone said it was such a necessary service and, well aged care is such a growth industry…… what I should have asked is but would you pay for a service like this? Fact is, after 3 years of doing this, the major blockers were the elderly people don’t want to pay for a service like this, or more to the point, expect to pay subsidized rates like they get for their services provided by the council. Obviously I could not offer a service like this for $8.00 an hour. Then there were the children, they resisted paying for a service like this because they saw it as their inheritance being spent. Okay so that’s a generalisation, but this scenario certainly happened to me on a number of occasions. Then the clients I did have were one offs because once they are moved into aged care or a partner passed away there was no need for an ongoing service. I didn’t quite think that one through in my research! I know I gave it my absolute best shot. I put everything that I had saved for 10 years (prior to not working because I was a stay at home mum for the last 10 years). I went way above and beyond my comfort zone because I wanted it to work so bad. I did presentations at hospitals, exhibitions, RSL clubs and conferences. I had a stand at a major Exhibition, became a committee member at networking groups and was a finalist in business awards. I pitched myself and my business to councils, funeral homes, hospitals and aged care places. I met Ita Buttrose, Jane Kennedy, Kate Cebrano and Kate Langbroek, to name a few very inspirational women. I blogged for on-line websites and my business became a corporate partner with a community not for profit service organization. I pitched my business to the CEO of a major well known successful company. Yes, I did a presentation to him to become an associate with their corporation. So it didn’t work out but no regrets, I tried! Each knock back made me more determined to try another approach and strategy. Three years of this and I didn’t want to be the statistic of yet another failed small business. But after so many knock backs you start to loose that enthusiasm and begin to doubt yourself and business. The reality is we have kids and a mortgage and something had to change! Earlier this year another opportunity presented itself and I started undertaking Social Media research, content, creating pages and ads for a large retail franchise business. I absolutely loved it. Organisation and research have always been really strong attributes of mine and you need these skills. I felt inspired, excited and challenged having a couple of regular clients I was doing this for as opposed to the one offs in the aged care field. Trouble is letting go of the dream, it really is a drawn out process, and not something you can do overnight. February I did a presentation at their invitation to a group of 60 elderly ladies at a RSL club. That bought only one lead, that was in the too hard basket. It was the straw that broke the camels back. I also had an employee from a Govt Department contact me suggesting I was eligible for a government grant. He visited me and was not able to offer any assistance because I was not a small business dealing with China, food or the latest trend. I was also out of cash, unable to put anything else in this business. I started picking up more social media related work but wasn’t quite ready to let go of the aged care business dream. In June we went on a family holiday to Vietnam. The week before I was very sick and had 2 new clients contact me. Apart from the fact I was not well enough to take them on, I realised I no longer wanted to do this. Since the legislation changed last year, now people want the one stop shop with financial and legal advice on negotiating bonds and specialised advice on moving into aged care. I am now able to pass on any new clients that contact me to 2 lovely ladies that provide this service. The holiday provided clarity; it was time to let go. If you see my LIWM Facebook page, it’s been in limbo for months. Quotes and pictures of plants and views. I no longer wanted to post the aged care stuff but felt I was letting people down, but the fact is my ‘audience’ don’t ‘like’ the aged care stuff and I don’t get the engagement when I do post that kind of content! I want to be totally transparent and honest and I wish more people would discuss frankly how hard small businesses really do it trying to do it all and make it work, but it’s one of those subjects that many pretend they are so super duper busy to keep up appearances! My business direction has changed and I will no longer be posting aged care related articles. If you want to unlike or unfollow me I understand. 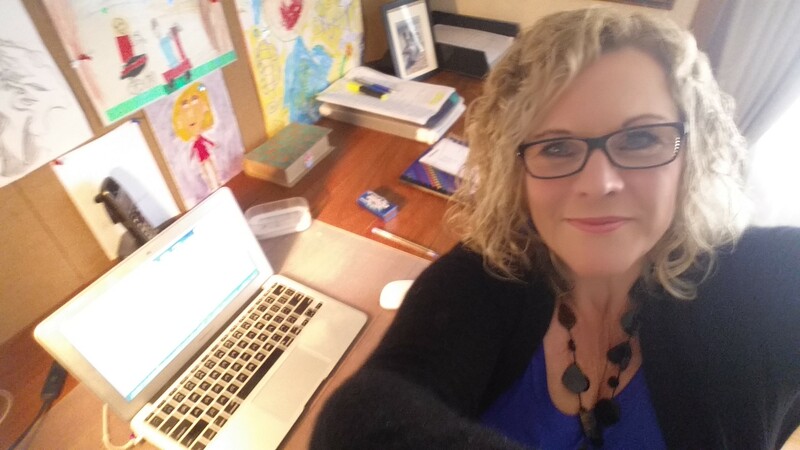 So now my social media business journey continues and interestingly I have a few clients from the aged care industry that I built relationships up with over the years. I needed to write this blog as part of letting go, moving on and being transparent in case you were looking for a business that helps seniors and their families. I hope you’ll continue to follow my blogs and Social media Pages, but if not that’s ok, I’ve learnt to not take it so personally. Persist and persevere, I’d rather look back and say I can’t believe I did that, then that was my idea! I wish I’d tried that! Love your honesty, Jennifer! Your business idea seems to be evolving. Very wisely, you have kept an open mind….never know where life will lead us!! Wow Jennifer, very brave post and thank you for being so honest. It’s really hard to lay your heart out on paper so to speak, well done. I admire you for following your dream and when I first heard about your service I thought it was fantastic and definitely something that was needed, but as you say, not something the elderly are willing to or able to pay for. It’s a shame because it’s a real necessity. I wish you the best of luck in your new journey and look forward to catching up again when next I’m in Melbourne. Thanks Shauna 🙂 We will only get more forms to access more services and amenities but eventually it’s something also that will be totally online so better to follow where I am getting the work and really enjoying the new path and learning. Look forward to seeing you next time you are in Melbourne.